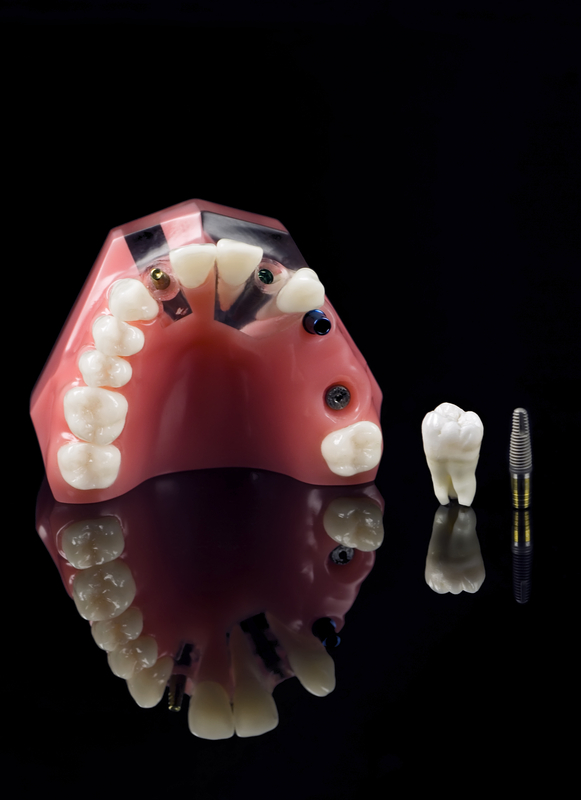 Dental implants provide a dependable and sturdy option for replacing missing teeth. The implant will mimic a tooth’s root giving durable support to the dental prosthetic for a natural looking smile that lasts. Our Citrus Heights implant dentist, Dr. Emmanuel I. Osorio places and restores dental implants to return aesthetics and overall health to your bite. Because there are many disadvantages to living with missing teeth, Dr. Osorio strives to provide patients with high quality materials and methodology to preserve their oral health for the long-term. Whether you need an extraction or full mouth reconstruction, our implant dentist in Citrus Heights will develop a treatment plan to place implants in the optimum position and build restorations that will seamlessly blend in with neighboring teeth. Our Citrus Heights implant dentist is experienced with the placement of new dental implants as an independent restorative procedure or as part of a full mouth reconstruction treatment plan. If you have complications from implants placed elsewhere in and around Citrus Heights and the Greater Sacramento Area to include Fair Oaks, Carmichael, Folsom, and Roseville, Dr. Osorio will restore your dental implant and give you the long-term benefit of improved oral health. Dr. Osorio is a dentist in Sacramento who places and restores dental implants in their office and is fluent in Spanish to help communicate the implant process and educate you about your dental options. To learn more about improving your smile with dental implants, contact our Citrus Heights dental office for more information or to schedule an appointment. For your convenience, we offer an online appointment request form and a member of our friendly staff will reach out to you to confirm your day and time. If you are living with missing teeth or are in need of an extraction, find out more about dental implants and investing into a life-time of good oral health. Contact us today!